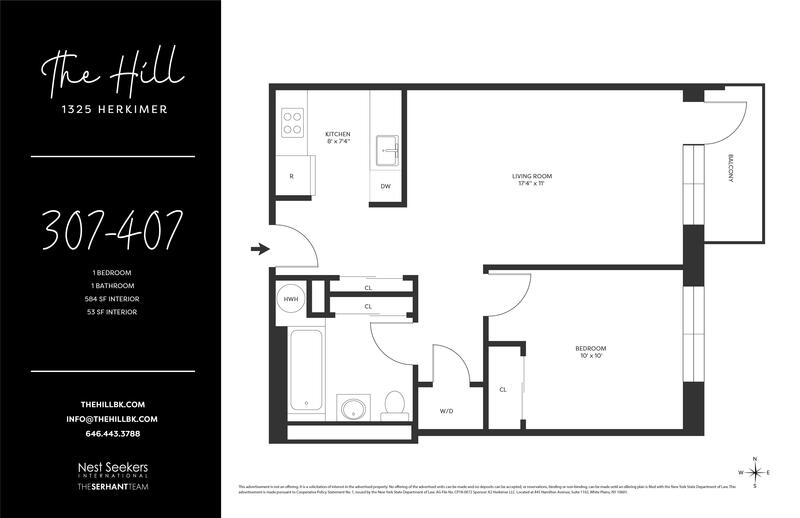 1325 Herkimer Street, #307, Brooklyn, NY, New York 11233. 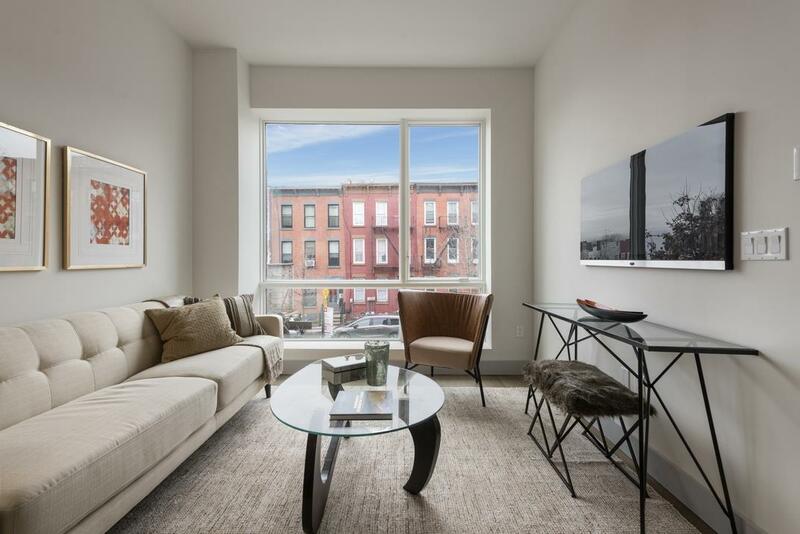 Boasting an array of sleek finishes and a thoughtful open plan layout, this immaculate 1-bedroom, 1-bathroom condo is a paradigm of contemporary Brooklyn living. Features of this 584 sq. 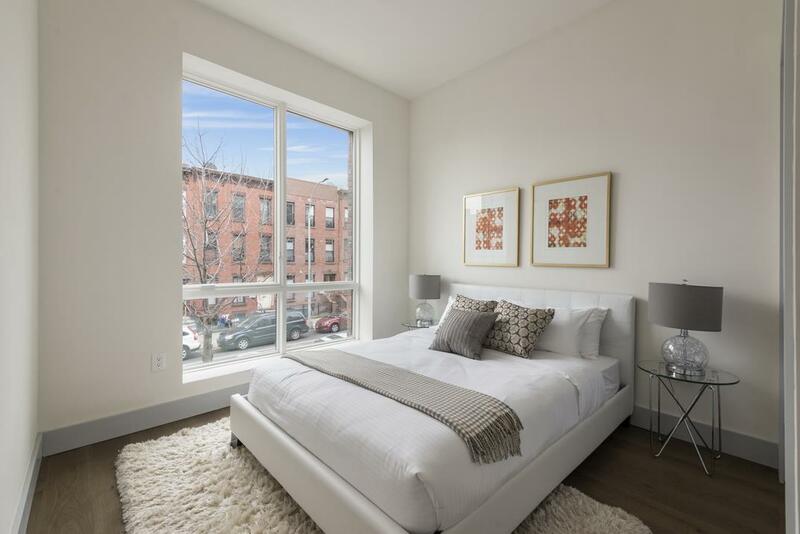 ft. home include wide plank engineered hardwood floors, huge Pella windows with western exposure, central heating and cooling, a convenient washer/dryer hook-up and a private 53 sq. ft. balcony. Beyond a functional entryway space the home flows into a luminous, open-concept living, dining, and kitchen area. 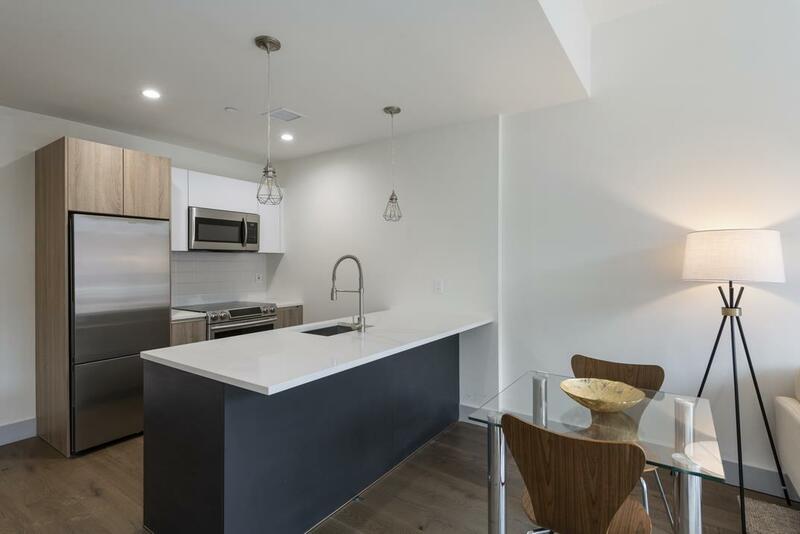 The galley-style kitchen is equipped with an eat-in peninsula, white quartz countertops, a white tile backsplash, Nolte cabinets, and a suite of high-end stainless steel appliances from Samsung and Fisher & Paykel. The bedroom sits just off the living area and has a large reach-in closet. 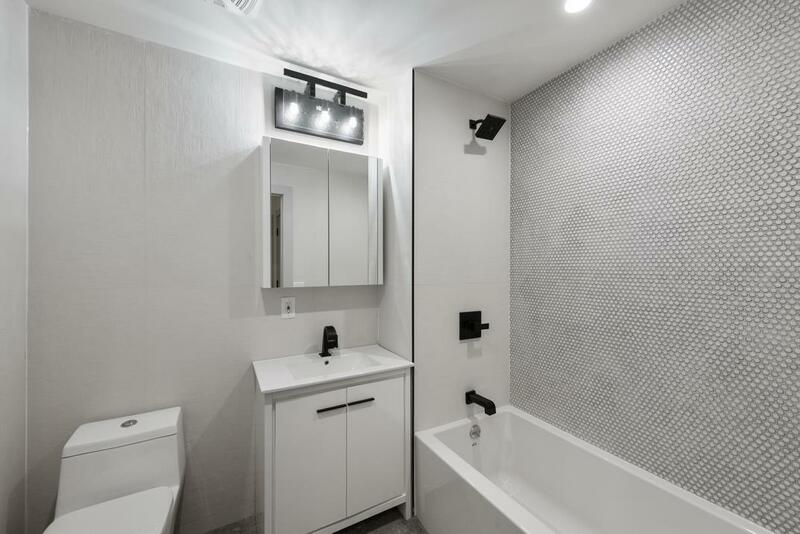 The bathroom has ceramic tile flooring, textured walls, and chic Kohler and Delta fixtures.